Over the course of the past year, journalist Jemele Hill has undergone a series of major transitions. After nearly 12 years at ESPN, she chucked the deuce and secured the bag at The Atlantic as a staff writer. She then joined forces with longtime friend Kelley L. Carter to jump start Lodge Freeway Media and concluded her 2018 by announcing her engagement to the love of her life, Ian Wallace. But through all these changes, long time fans of her work as a commentator—and her otherworldly synergy with ESPN anchor Michael Smith—have felt a bit left out. With their wildly popular show and podcast “His & Hers” in the rear view mirror, where would fans get their fix of Jemele’s quick wit and signature outspoken takes? Well, the fans’ prayers have been answered. Indeed she is. And her new show will feature some familiar faces. I Can’t Date Jesus author Michael Arceneaux and Bronx-born writer-director Cole Wiley will join her as co-hosts, and her first guests will be media personality Charlamagne tha God and comedian Tone Bell. 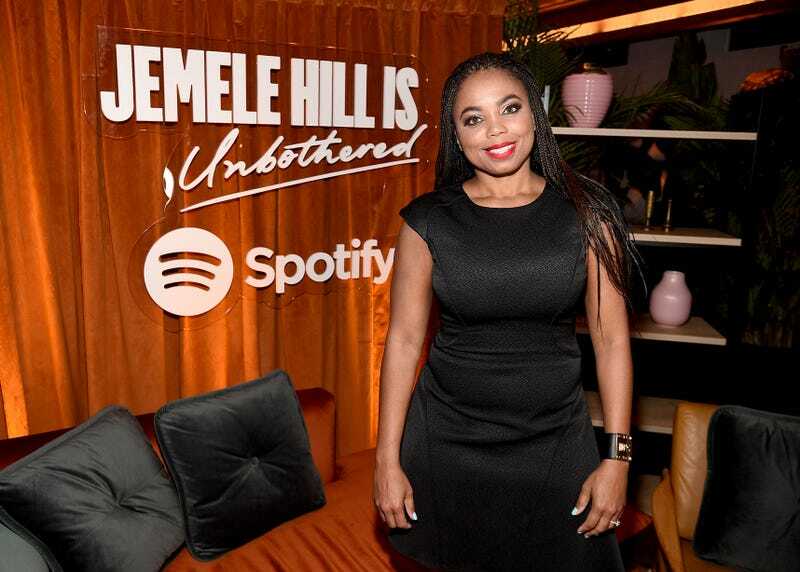 Jemele Hill is Unbothered is available weekly on Mondays and Thursdays on Spotify.